Photography roundtrip through the Peloponnese or Northern Greece with professional photographer Sjaak Henselmans and tour guides Suzana Gulevska and Nick van den Berg. Throughout the year we organize tours for small and large groups, along the coast, but also through the interior of Greece. We chose a few beautiful trails that lead through magnificent and unspoilt countryside and picturesque villages. During our trip we eat traditional meals in local taverns and enjoy the wines of the region. This roundtrip is a fantastic experience and you will return home with a great photo shoot of your trip thanks to the practical guidance of our traveling professional photographer. Below you will find the program of the next trip on the Peloponnese, which will take place from 6 – 14 May 2018. Arrival at Athens airport and transfer to the hotel in Isthmus, Corinth area. Along the coast of the Peloponnese we head north east to the town of Diakopto, where we take a cog-train for a spectacular trail to the mountain village of Kalavrita. Halfway through the ride we get out for a walk and to photograph the beautiful scenery. We continue our route through the Arcadian landscape and eat fresh trout in Klitoria, a very quiet spot in the woods where we try to capture beautiful reflections in the water of the trout farm. We drive to the traditional village of Vitina, where we discuss the photos of the day in our hotel. Today we visit the famous ‘hanging’ Prodomo monastery near the beautiful village of Dimitsana. Based on a assignment, we try to capture the atmosphere of the monastery. After lunch at the monastery we take a walk through a ravine down, full of photogenic spots. 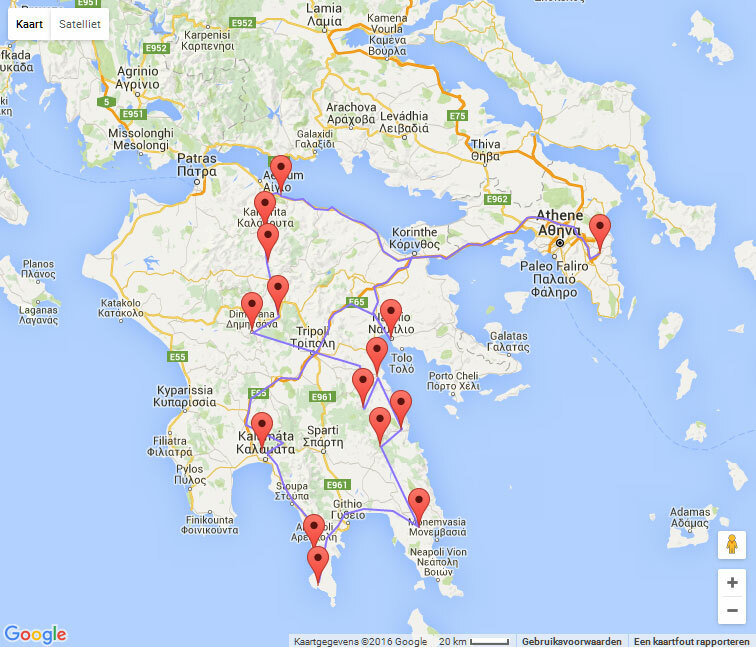 From there we drive to Platanos where we will have dinner and overnight in a traditional taverna. Given enough time we will look at each other’s photos in the evening. When we arrive late, we do it the next morning. During a short walk, we try to capture the character of the village of Platanos and then leave for Kastanitsa. This village is famous for the production of chestnuts. Here we have lunch which will mainly consist of dishes with chestnuts. During a beautiful trip through the Parnon mountains we will stop regularly and will be paying attention especially to landscape photography. Overnight at resort Astros. Here we can take beautiful pictures of the harbor at dusk and enthusiasts can swim. Through a beautiful coastal road we drive south towards Leonidio. Here we go inland to visit the monastery Eleonas that is built high against the cliff. We take ample time to photograph here, then we have lunch in the slightly more distant mountain village of Kosmas. We continue to the southeast and arrive at the almost completely restored Byzantine fortress town of Monemvasia, located on a rocky island off the coast. Here we stay an extra day and we work on architectural photography and urban landscapes. We will be at Monemvasia all day. It’s a nice stay at this town with it’s traditional stone houses, cobbled streets and alleys, gates and winding staircases. Enjoy nice terraces, strolling, dining in a cozy taverna and off course photographing. Afterwards we discuss our results. 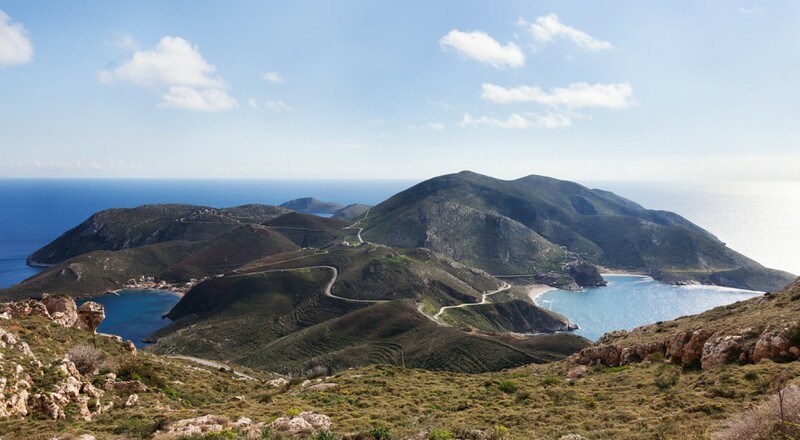 A tour through the rugged landscape of Mani. Mani means dry and treeless and the area is known for its castle-like towers. We visit the almost deserted village of Vathia to capture the typical architecture. In the picturesque coastal village Gerolimenas we will be dining with seasonal dishes of local produce and we stay in a seaside hotel. The bay is great for shooting nice pictures. In the evening we discuss the pictures of the day. We head north and visit the caves of Pirgos Dirou. We will take the challenge of photographing from a wobbly boat in the dark caves. The coastal road to Kalamata is a beautiful scenery. After lunch at the beach of Kalamata, we drive back to Nafplion. There we will discuss our pictures and enjoy the evening dinner with live music. After a breakfast and a review of the week, we take the last pictures of this trip during a walk through the beautiful and lively Old Town of Nafplion and visit the Venetian castle Palamidi with stunning views of the surroundings. Around 17.00 we leave for the airport of Athens. Throughout the year at request. This roundtrip is for beginning and advanced participants. Non photographing partners are also welcome! If you share your room with your companion, there is a discount of € 30, – p.p. Direct flight from Amsterdam to Athens (if applicable). Transport during the roundtrip by touringcar, minibus or car. Every day all meals in several taverns. Tutoring by our professional photographer.